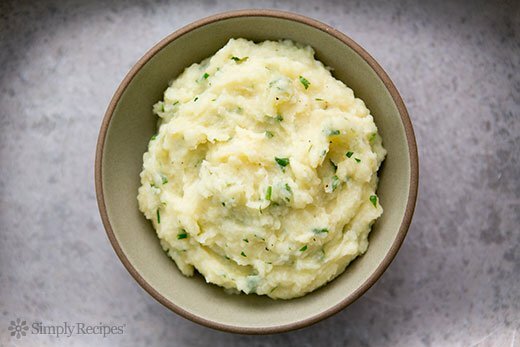 This version of mashed potatoes is virtually fat free! Spread garlic in a medium pot. Cut parsnip into 1-inch chunks and place over garlic. Cut potatoes into 1-inch chunks and spread over parsnips. Add water. Bring to a low simmer. Cover pan, reduce heat to low, and cook for about 25 minutes until tender when pierced with a knife. Check occasionally, adding extra water a tablespoon at a time if the pot becomes dry. Mash with a potato masher or fork, then stir in enough non-dairy milk to obtain a creamy consistency. Add salt and black pepper. Stored in a covered container in the refrigerator, leftover Parsnip Mashed Potatoes will keep for up to 2 days.